Posted on Friday, November 16th, 2012 at 5:33 pm. LivingTheCRWay.com introduces the new Kidney Stone Prevention Program that makes it easier to prevent kidney stones and improve health. Diet has a major effect on the kidneys, as kidney stone patients know. A knowledgeable doctor will analyze their patient’s kidney stone content and tell them what dietary factors may affect their likelihood of forming stones. This can include oxalate[s] (supplied mainly from fruits and vegetables), sodium, potassium, magnesium, calcium, phosphorous, citrate, protein, fat, and water intake. While some Internet sites provide helpful lists of oxalates and other risk factors in foods, most doctors and patients still have to guess about what’s causing the stones. 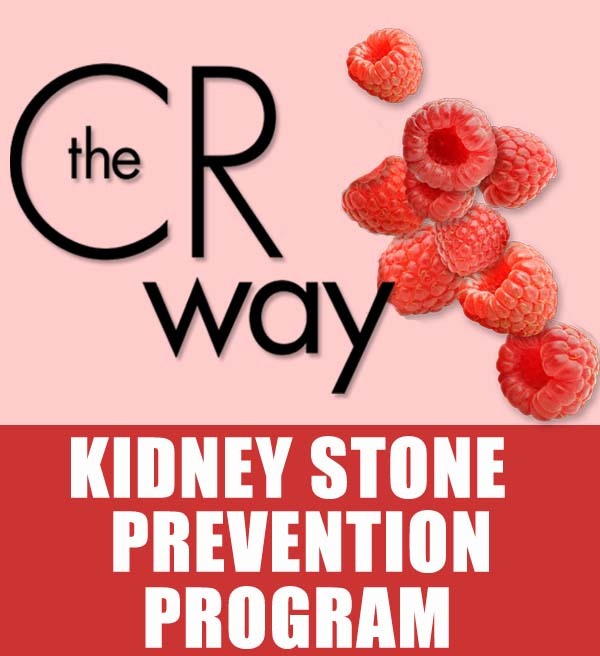 The CR Way Kidney Stone Prevention program changes that. It includes the CR Way 4 Longer Life Edition Software, which provides unparalleled analysis of dietary risk factors for kidney stones. The program also includes a convenient Kidney Stone To-Do List for patients to carry with them when they are on-the-go, so they can easily remember what to eat and what to avoid. Departing from electronic programs that provide little personal guidance, the CR Way Kidney Stone Prevention Program invites subscribers to live teleconferences, where they get free meal plans that minimize risks and guidance on how to use the software. Find out more by visiting Kidney Stone Management or calling 877-481-4841.